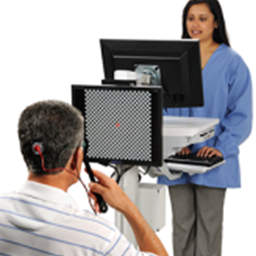 A visual field test is a test that identifies dysfunction in the central and peripheral areas of vision which may be caused by glaucoma or other neurological conditions. The GDx scans the posterior of the eye and obtains an image of the optical nerve in the back. GDx analyzes the nerve fiber layer to determine if the nerve is a healthy thickness. 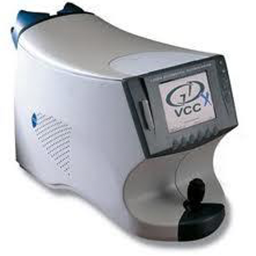 The GDx is able to help diagnosis glaucoma prior to individuals experiencing symptoms of any vision loss. Fundus Photography is the photography of the interior surface of the eye. The photograph provides us with an in-depth view of the retinal surface where many eye diseases first manifest. This photographic examination allows us to screen for ocular problems such as macular degeneration, glaucoma, retinal holes/detachments, and many symptoms of systemic diseases including diabetes and hypertension. The photograph is stored in your medical records for future comparisons to detect any changes over time. OCT provides high-resolution, cross-sectional imaging of the back of the eye. It is capable of detecting changes in the back of the eye and therefore allows us to look for and monitor diseases such as glaucoma, diabetic retinopathy and macular edema. 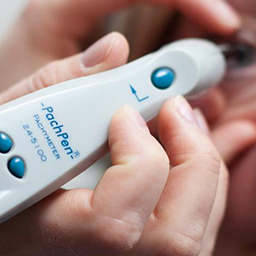 Pachymetry is a test that uses a medical device called a Pachymeter to measure the thickness of the cornea. 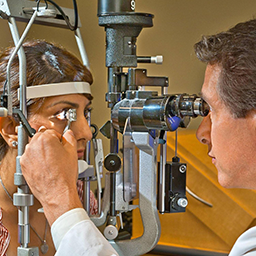 This test is typically performed for glaucoma suspects, Keratoconus screenings, and those interested in Lasik surgery. 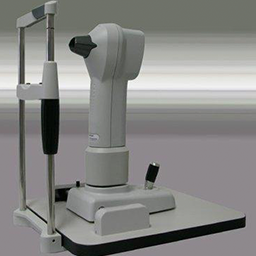 Using a Goniolens and a slit lamp, gonioscopy allows the angle between the eye’s cornea and iris to be measured. 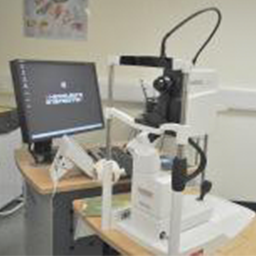 Gonioscopy is used for diagnosing eye conditions associated with glaucoma. Visual Evoked Potential measures the evoked potential or signals in the brain in response to a stimulus. It measures and records the amount of electrical activity and speed of the signals the brain, primarily the visual cortex, is sending and receiving. 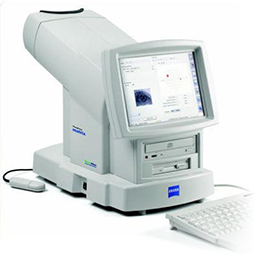 Similar to VEP, Electroretinography measures the electrical responses of the cells in the retina. 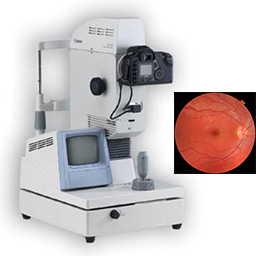 Both the VEP and ERG tests provide comprehensive information for the diagnosis of eye diseases such as glaucoma, macular degeneration, and other neurological or eye conditions..
Corneal Topography is an imaging technique that is used to map out the surface curvature of the cornea. Corneal Topography is normally used to determine if a patient is a good candidate for Corneal Refractive Therapy (see CRT faqs) and to assess the fit of CRT lenses or other contact lenses.